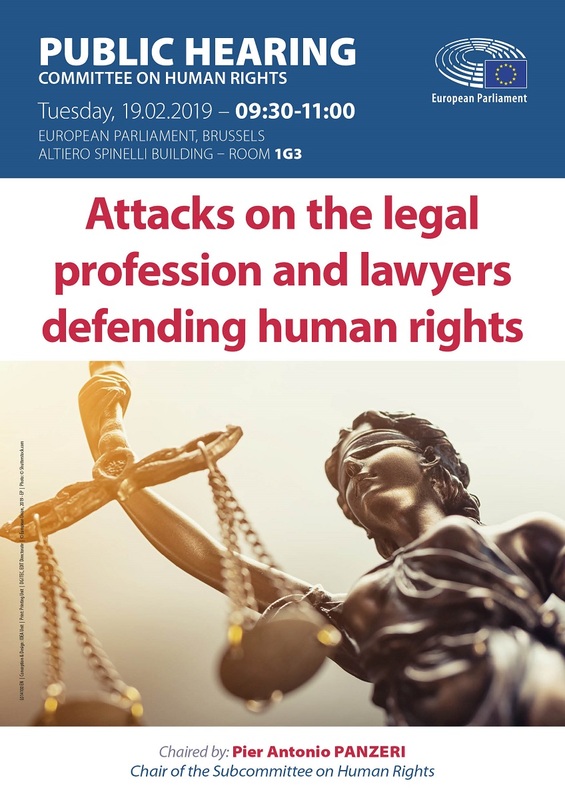 The Subcommittee on human rights will hold a public hearing on “Attacks on the legal profession and lawyers defending human rights”, on 19 February 2019, from 09.00-10.30, at the European Parliament in Brussels. Attacks on lawyers defending human rights have increased in many countries over the last years, including in Europe. The hearing aims at providing an overview of the latest developments (including testimonies of persecuted lawyers), to present and assess the existing EU tools to support lawyers/human rights defenders worldwide and to reflect on possible further initiatives at EU and multilateral level to improve the situation.